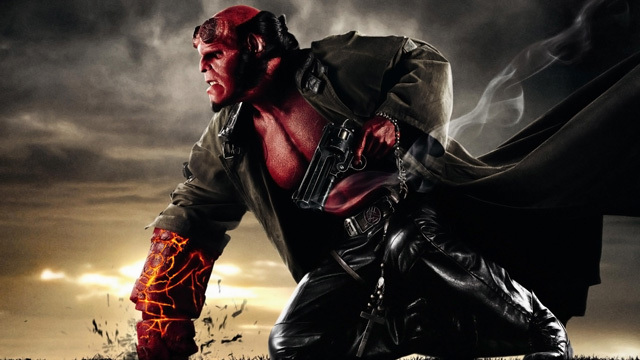 Ron Perlman has revealed new Hellboy III story details, but will we ever get another sequel? Will we ever get to see a third Hellboy movie? That remains the question as those who were involved with the first two films continue to talk about the possibility, even though the last movie came out over seven years ago. Then again, it took 14 years for us to see another Jurassic Park film, so anything is possible. Written and directed by Guillermo del Toro, and starring Ron Perlman, John Hurt, Selma Blair, Rupert Evans, Karel Roden, Jeffrey Tambor and Doug Jones (David Hyde Pierce provided the voice for Abe Sapien), the first movie hit theaters in April of 2004 on a $66 million budget and earned $99 million worldwide. Del Toro’s sequel, Hellboy II: The Golden Army, debuted in July of 2008 on a budget of $85 million and earned $160.3 million. It wasn’t enough, however, to get the third movie going. So what was Del Toro’s big idea? “Holy sh*t, he’s the beast of the Apocalypse. He has to take down civilization. He has to. It’s non-negotiable. That’s the foundation for the story, and that’s why I think it would be a shame if we don’t do it,” Perlman added. What do you think of these Hellboy III story details? Do you think we’ll ever see another movie? Let us know in the comments below.